President-elect François Hollande will have a lot to do. He has a lot of duties and he made many promises in his campaign. There will be many problems to solve, but one of the first was to choose the car he will drive during his presidency. That choice must be made before the president takes office, because French protocol expects the new president to arrive in that new car for his official investiture. He shall then lay a wreath at the tomb of the Unknown Soldier (again, that’s the protocol), and he should be driven up to there. Though, we may remember that in 1974, president-elect Valery Giscard d’Estaing chose to walk. That didn’t take him more than 15 minutes, and that was green! 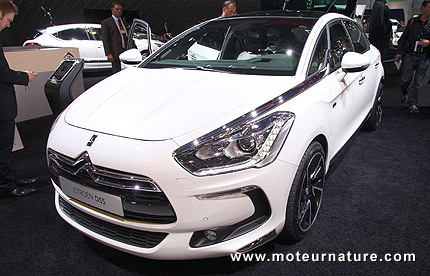 François Hollande will be nearly as green, because he shall be driven very slowly, in electric mode as the Citroen DS5 Hybrid4 allows. It’s good publicity for the French car manufacturer considering those images will be widely broadcasted by all European TV channels. But the choice of a Citroen hardly comes as a surprise. French presidents have used Citroens for decades. Note: picture shows the standard model, the one the president will use will be armored.